July is a BIG month for clearance deals! It is one of the best months for saving at Target. 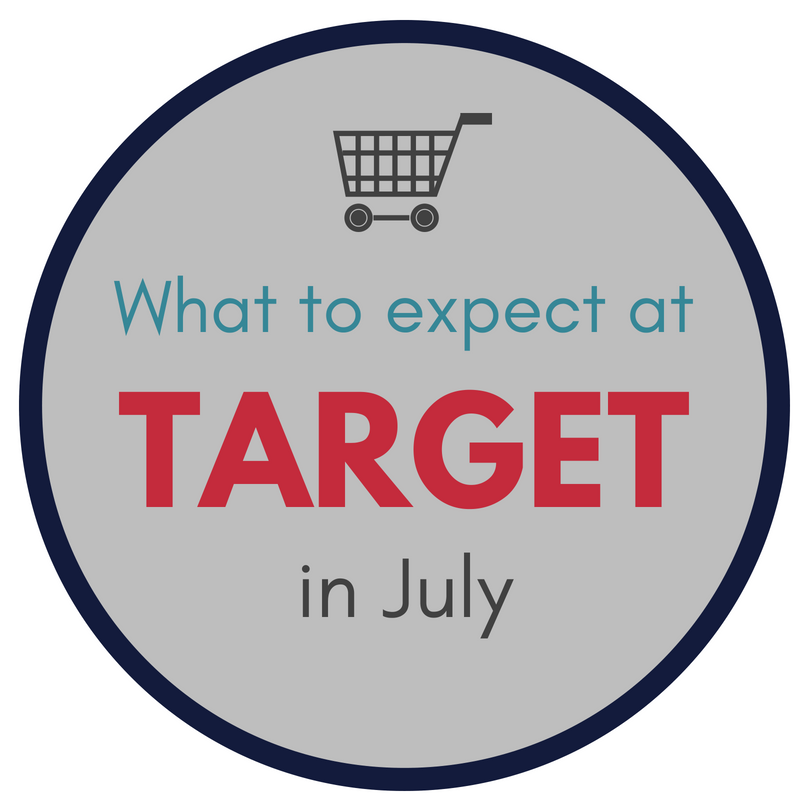 Here are some of the sales and clearance deals you can expect to find at Target in July. 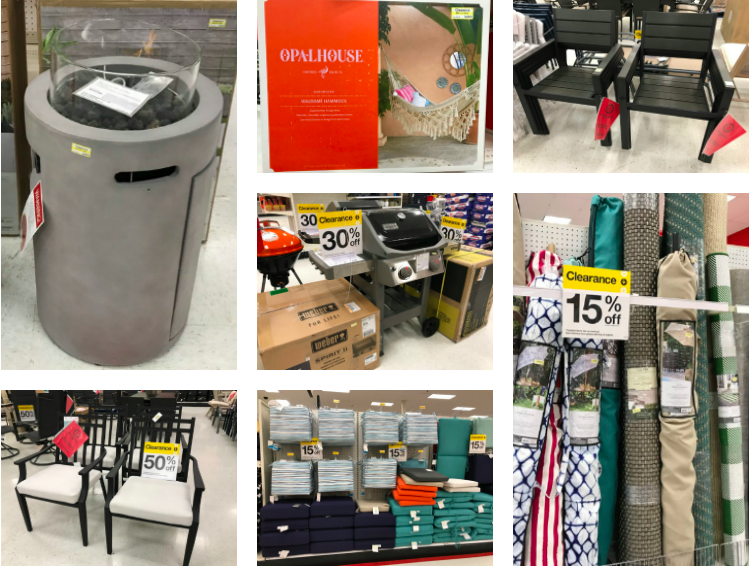 In listing the major clearance deals that will happen in certain departments, but really almost every department will have some great clearance deals this month. 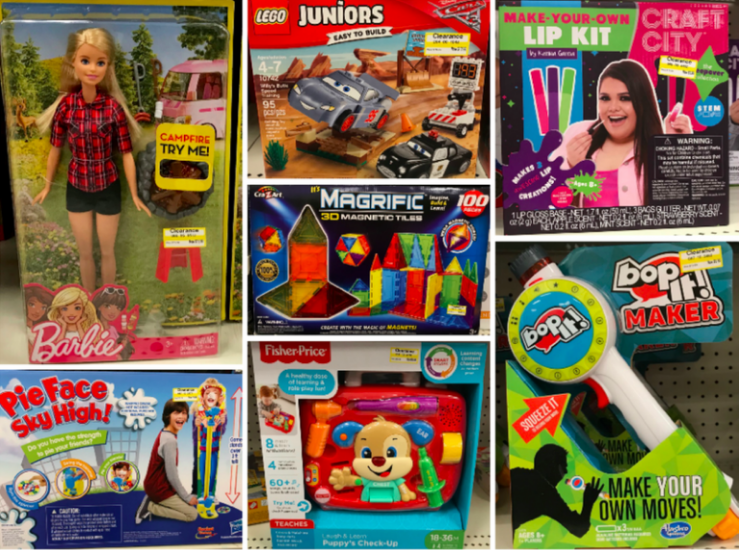 Toy Clearance: One of the biggest deals at Target in July is probably the 70% off toy clearance. Toward the end of July, Target marks down a nice selection of clearance toys to 70% off. They do this in order to make room for the new toys that are coming for the holiday season. You can learn more about the Target 70% off toy clearance HERE. The markdown usually takes place the last week of July. Remember, most stores markdown their toys on Thursdays, so that is the day the markdown will probably take place. There is no guarantee which day it will happen, it’s just a “wait and see” kind of thing. I will be posting lots of information regarding the clearance sale throughout July in order to keep you informed. Make sure you “like” All Things Target on Facebook to stay up-to-date on this big sale. I already have a post up sharing some of the Target toys that are part of the clearance this year. If I had to make a guess, I would say that the markdown might take place on Thursday, July 26th. Having said that, I have noticed my store already has some toys at 50% off, so they may mark things down in waves instead of all at once. Summer Clearance: Another great section that goes on clearance is the summer section. All of the items they brought in for summer will get marked down in July. These items will go as low as 90% off!! Check out this post for a peek at some of the items that will be included in the summer clearance. 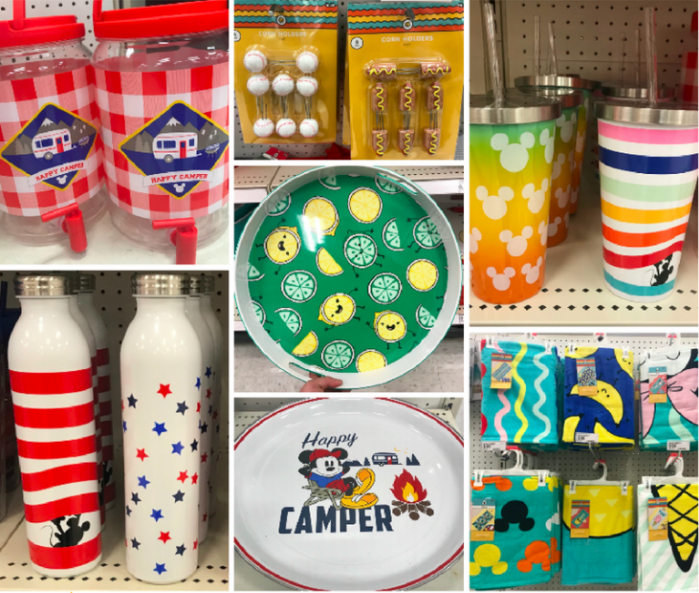 This clearance should also include the 4th of July items and other summer items from the Target Dollar Spot. Patio & Garden Clearance: The remaining patio furniture and garden clearance should go down to 70% off sometime in July. Last year many people saw these items go to 70% off the first week in July. You can get a peek at some of the patio and outdoor items I found on clearance at my store. They need to clear out the department so they can make room for all the school supplies. Baby Clearance We should also see some baby items, like car seats , strollers, bedding and more get marked down to 50-70% off during the month of July. 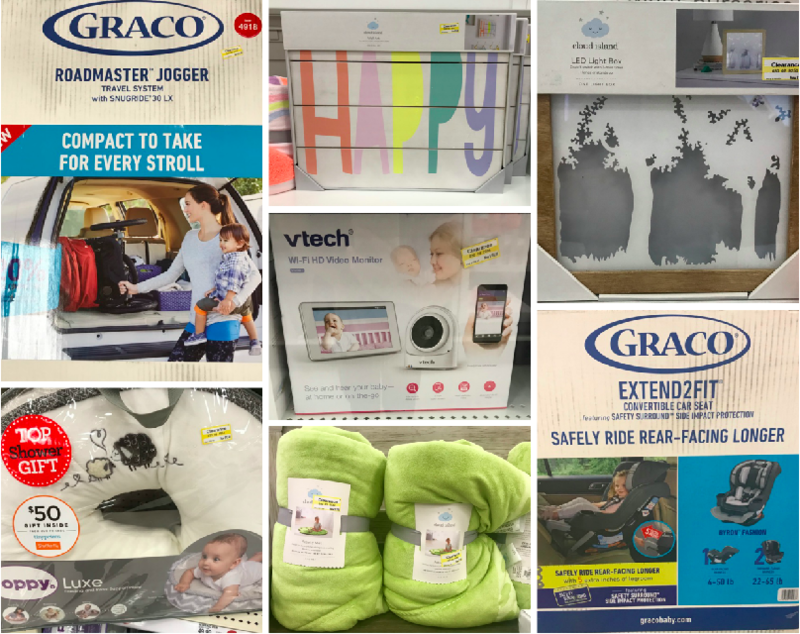 We have a bunch of photos of baby items we found on clearance this year. Last year, most stores reported the 70% off markdown happening the last week of July. If you want to check this department each week the best day to go will be Monday, because that is usually when the markdowns in the baby department happen. You can check our guide for what days all of the markdowns happen in each department. Clothing & Shoes Clearance – We see a larger amount of clearance in the clothing and shoe department due to the fact that they will now be bringing in clothing for fall and winter. School Supplies: July is a great time to buy school supplies! We should see some great sales as well as coupons for school supplies that can even translate to FREE items. Soon, we will add a school supplies section to our weekly coupon match-ups to keep you posted on all the best back-to-school deals. 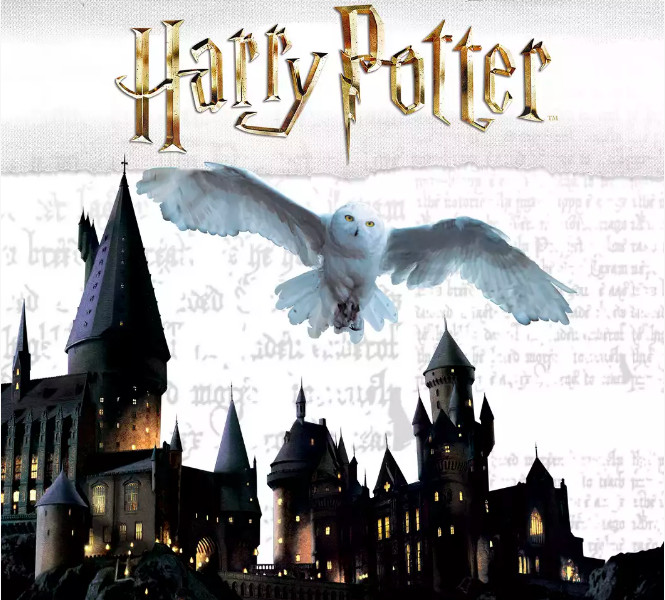 Harry Potter Kids’ Event – Most Target stores will be hosting a fun event to celebrate the 20th anniversary of Harry Potter and the Sorcerer’s Stone. The event will be held on Saturday, July 21st from 11am – 2pm. They will have giveaways, readings, toy demos, photo ops and other activities celebrating the 20th anniversary of the Harry Potter and the Sorcerer’s Stone. You can use this Target store locator to see if the stores near you will be participating in this event. With so many departments clearing things out we will see lots of brand new items at Target too. The Dollar Spot will be re-stocked with school supplies and more. I love, love, love shopping Target in July (or any month really)!! I found the car seat graco my ride 70 reg price $159.99 for $40.04 70% off. Im so happy. I discovered your site a few days ago and I’m loving it. I see that you mentioned that toys typically go on sale on Thursdays. That’s a great tip. Can you tell me what days I would typically see cosmetics/beauty items go on sale? I love snagging a great clearance/sale deal on those Target endcaps. Also, what days do they typically mark down women’s accessories? Thank you for all your hard work and dedication to this site. As a teacher, I spend way too much on school supplies for my classroom, I’m looking forward to getting some great deals this year! Our patio went 70% off last week – now that area is filled with back to school stuff! Wow! That was quick. Thanks for the heads up. Where are you located? Dollar sect is scheduled to clearance most + symbol items on July 6, FYI. I was thinking it might happen on July 5th since many of the items are 4th of July themed. Thanks for the heads up. Definitely nothing on sale today in the 4th of July shelf. I’m in Chicago suburbs, and patio went 70% last week for us as well. They just started setting up back to school area today! Two stores went 70 on patio last week Wednesday or Thursday too. All cleared out today and back to school is already set. Also, I did see the toys being marked to 30 already on one half isle. This is in Honolulu hi. I just picked up a Navy Blue & White Chevron Outdoor Rug for $14- marked down 50%. And the other day I picked up two of their adirondack chairs plus two ottomans all for $140 (https://www.target.com/p/threshold-bryant-faux-wood-patio-adirondack-chair-brown/-/A-14671141#prodSlot=large_1_1&term=adirondack+chair). They were marked down 70%! And I picked up all sorts of different outdoor cushions and pillows for 30-50% off. I do find that if you see it and you like it, I wouldn’t wait to come back and get it. Especially with them wanting to clear that whole section out to make room for the school stuff. Huge selection of toddler shoes 70% off today!!! I was in shoe heaven! A manager in my store said patio was getting cleared out today and it wouldn’t go 70%, I’m in central California. She did manually mark down a chair for me on Sunday because she said everything needed to be cleared out this week. When I asked if they were doing another round of markdowns before then she said no. Summer items were marked down 30% today, hmm they seem behind this year, or maybe it’s just my store. Do you know when they clearance out Camping stuff? It also happens on a Thursday and it usually happens a week or two after the toys get marked down. Hi, so 4th of July related stuff will be marked down to 50% the next day right, is that consider summer though? so are we going to see a sale for 4th of july stuff and then the summer sale? The 4th of July items aren’t usually marked down the next day, they follow the same schedule as the summer items. There is a chance the Dollar Spot items may go 50% off, but we’ll just have to wait and see. Wow, thanks for the tips! I find your website super useful. I saw a toy on sale for 50% off last week for my baby. Do you think I should buy now or wait until it’s marked down to 70% or even 90% towards the end of the month? The lowest the toys will go is 70% off. If there are quite a few of the same toys left you might be able to wait for 70% off, but sometimes they sell out before it hits the next markdown level. If it is something you really want and there are only a few left you may want to buy it at 50% off. Okay great, thank you Christy! I went to my local Target this morning and to my amazement and frustration, NOTHING Fourth of July or summer was marked down by any percentage. The employee stocking school supplies in the next aisle also thought it was bizarre. Now I have no idea of when to go back for deals (hauling 5 kids to Target isn’t as easy as it sounds!)!! !